Looking for the ultimate snack? 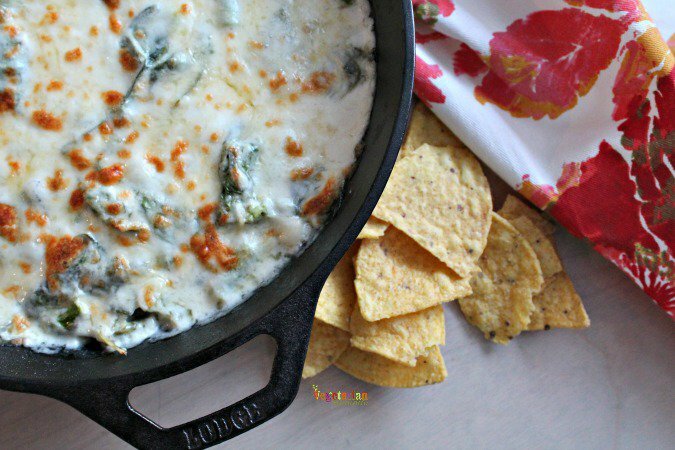 Try this warm Cheesy Spinach Asparagus Dip. It it full of veggies and lots of cheese! If you are looking for more game day food ideas, you need to check out our Party Style Bean Dip, Spicy Vegetarian Chili, Buffalo Tofu Bites and Loaded Plentils Nachos! 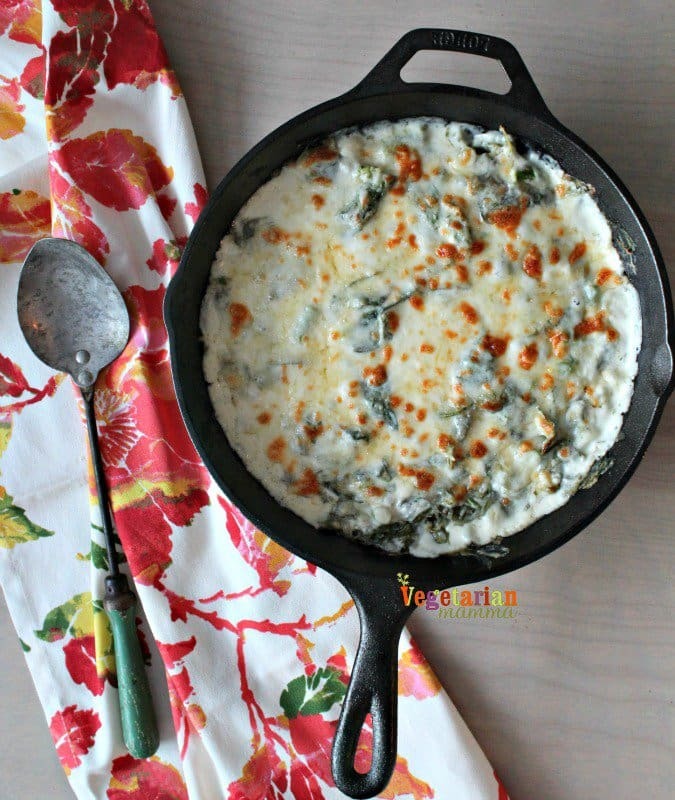 Cheesy Spinach Asparagus Dip is an addicting dish. I just feel like I should make that declaration right off the start. I mean I wouldn’t want you to make this dish and just expect to want it only one time. Nope, not with this dish. You are pretty much going to want to snack on this dip: all.the.time. Now that you’ve been warned, let’s proceed. The ingredient list is pretty simple and well the ingredients are all actually pretty themselves. I mean just look at those greens and shades of off white and white. Ah, just love all that beauty! If you are a dip lover or just a snacker in general, you need to check out this Crack Dip by What The Fork Food Blog. Sharon nailed it with her recipe. I will be making mine sans bacon, but for all your bacon lovers out there…go for it! Mix all ingredients together, but reserve 1/2 cup of mozz and 1/2 cup of parm. Stir until well mixed. Place into an oven safe skillet or baking dish. Bake at 375 degrees for 15 minutes. Remove from oven, add the remaining 1/2 cup of mozz and 1/2 cup of parm to the top of the dish. Put back in oven for 10-15 minutes or until bubbly and golden brown. If the top of your dip does not brown, you can put under the broiler for 1-2 minutes, but watch carefully. Let set for 5 minutes, enjoy with chips, breads and veggies! This recipe doesn't require a cast iron skillet, you can use an oven/broiler safe bowl. Let’s Talk! Share with me what you like to dip with. Tortilla chips? Bread? Vegetables? Tell me your favorites! All those veggies make it healthy right? I love melted cheese dips, proper ski style mountain food. Totally the veggies cancel it and make it completely healthy 🙂 ha! 🙂 I wish, right?! Yes, me too, I love melted cheese dips! Perfect snack for your tummy after the slopes! I think asparagus has to be my favorite vegetable (and I love, love, love vegetables), so this recipe is a winner for sure! Ooooh yes please! Anything with that amount of cheese has to be good! 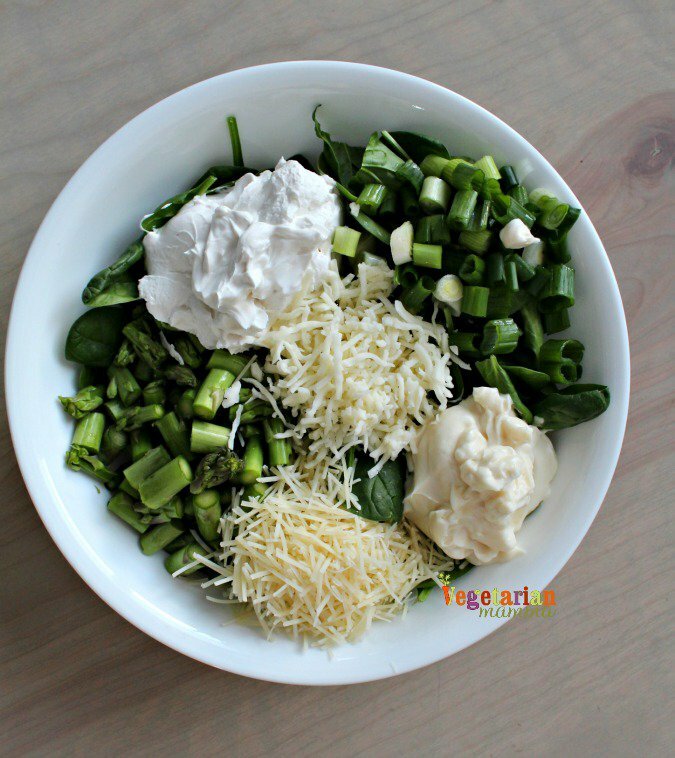 I agree, the veggies make it healthy and the cheese makes it yummy!! I’m in the bread camp – especially chewy bread with a thick crust. I am wondering if it would be possible to either shorten the cooking time or maybe layer the asparagus under the reserved cheese instead of cooking it the whole time. I have found that I like my asparagus best when it’s barely cooked. (I get a very bitter taste when fully cooked.) Do you think crisp asparagus would ruin the dish? It’s okay if you tell me to try it out for myself! Thanks. I’ve been thinking of this cheesy concoction all afternoon now! Great looking spinach and asparagus dip. Always looks impressive and a crowd favorite. I agree it is rather addicting. Yum. This looks so good. I love cheese and dips! I love the twist you gave by adding asparagus to the mix! 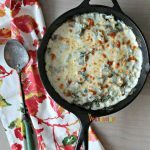 The spinach dip alone is amazing so I can only imagine how good this recipe is! It is a fun twist for sure! omg that looks so good! I’m glad all the ingredients you used are what I like! I’d definitely would love to try this. This looks like an amazing dish. I think my friends and family members will like it. Quite easy to make and yummy. Omg!! I am gonna try this for an upcoming party! Looks so good! OMG I totally want this to eat right now. Definitely adding the ingredients to my shopping list for today. I hope that you enjoy! This looks so delicious, I’d love to try the spinach and asparagus dip as I am a huge fan of healthy food! Amazing recipe! 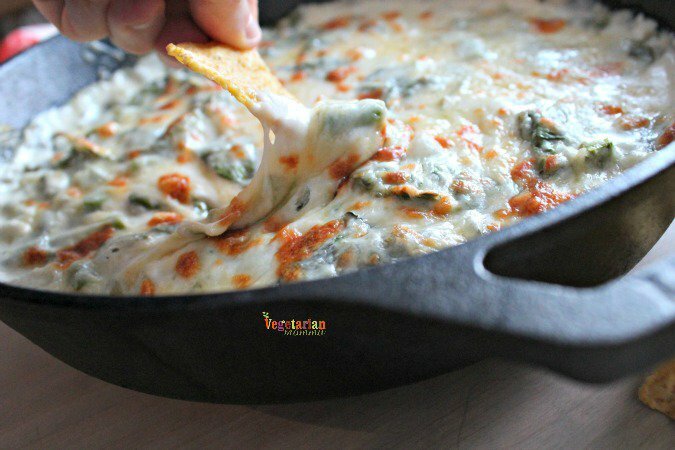 You really can’t go wrong with a cheesy spinach dip. It is a crowd pleaser. I like the idea of using asparagus instead of the usual artichoke.